Copier rental Karachi Ricoh 2000 is available at Paragon Copier Solution. The Ricoh MP 2000 comes standard as a copier, but can be transformed into an all-in-one machine when the print, scan, and fax options are added. You can run multiple jobs without having to refill paper compartments when utilizing additional tray options to make the maximum paper capacity 1,600 sheets. 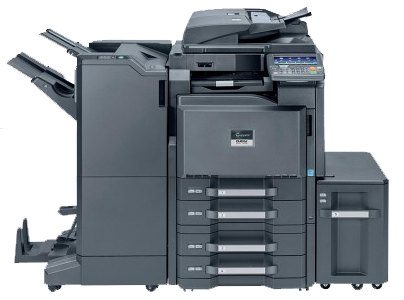 A monthly duty cycle max of 15,000 pages makes the Ricoh Aficio MP-2000 a great option for medium to large size offices. Print speeds reach a brisk speed of 21 ppm for letter size documents and first copies print in as little as 6.5 seconds. Toner cartridges (TYPE 1130 D) for the Aficio MP 2000 will yield an estimated 9,000 pages at 5 percent. You can choose from the genuine Ricoh toner or Precision compatible. A speedy workflow is essential to stay on top of the game. With a short warm up time, the MP 2000 are ready for business almost instantly. What’s more, your first output is ready in a mere 6.5 seconds. As printing/copying continues at 16/20 pages per minute (ppm), your jobs are ready faster so you can focus on your work again without delay. Effective and professional communication is what makes your business flourish. Building on technological innovation and years of experience as market leading global company. Ricoh provides best quality solutions tailored to the needs of more demanding businesses. distribution possibilities. Simply the smart choice for your growing business requirements! Therefore,we refer our client this photocopier machine on rent.